New Delhi: Prime Minister Narendra Modi is scheduled to visit both Jharkhand and Odisha on January 5 to inaugurate a host of projects. In Jharkhand, the PM will unveil a plaque to mark foundation-laying for revival of North Koel (Mandal Dam) project and Kanhar stone pipeline irrigation system while in Odisha, he will dedicate to the nation the Balasore-Haldia-Durgapur section of LPG pipeline project of IOCL and the Balasore multi-modal logistic park. PM Modi will also inaugurate the collective ‘e-griha Pravesh’ of 25,000 beneficiaries under Pradhan Mantri Awas Yojana through video conferencing and address a public gathering as well. The PM will unveil a plaque to mark the commencement of work for the development and conservation of Rasikaray temple at the ancient fort, Haripurgarh. According to the official statement released by PMO, Modi will lay the foundation stone for the four-laning of various national highway projects and inaugurate six passport Seva Kendras. He will also flag off the second passenger train from Tatanagar to Badampahar and address a public gathering at Baripada. This is PM Modi’s second visit to Odisha in less than a fortnight. He is also scheduled to visit the Baripada Chhau ground where he will address a mass public rally. 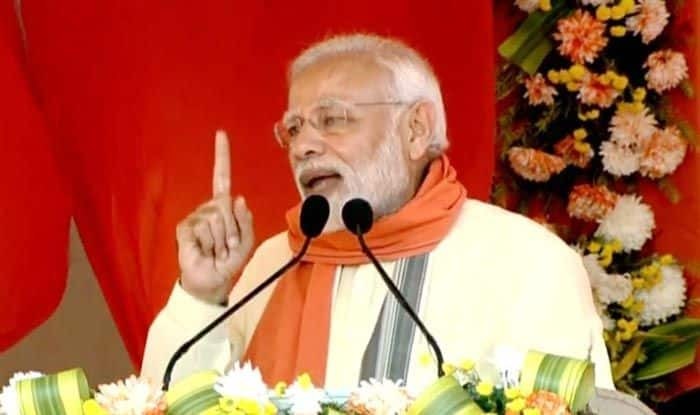 According to sources, PM Modi will not only give poll mantras to party workers ahead of the Lok Sabha elections 2019 and Assembly elections in Odisha but is also likely to straighten ruling Biju Janata Dal (BJD) over several issues and narrate his party’s developmental agenda.